In 2012, my article Absent Fireguards & Burnt Children was published in the Law, History & Society Journal. This article explored the hitherto overlooked Section 15 of the Children Act 1908 which introduced legislation in regards to the use of domestic fireguards. This clause transpired from the outcry of coroners who were horrified by the number of fatally burnt children brought before their courts. The coroners’ campaign for fireguard legislation in the late-Victorian and Edwardian period was one of numerous in regards to domestic safety. The campaign and legislation regarding overlaid infants is perhaps one of the most widely discussed of all these, while the call for lamp legislation is discussed in one of my forthcoming publications. It was whilst writing the latter, that I began to reflect on another issue raised by coroners and that vexed the minds of Parliamentarians on the matter of burnt children that I was only able to discuss briefly in my fireguard’s article: flannelette. ‘held several inquests on children burned to death owing to their having played with fire in one way or another. Mr Smelt said there had been seven such deaths within a week that he had had to deal with, and he attributed the fact to the cold weather we had recently experienced. Children would go near fires to warm themselves; it, therefore, behoved parents to watch them strictly. They should also avoid dressing them in flannelette, which was almost as dangerous, if touched with fire, as gunpowder’. It was not just the young who were put at risk through dressing in flannelette, as illustrated in The Sunday Times’ report, November 1911, ‘INFLAMMABLE FLANNELETTE’, which describes the event surrounding the death of a ninety-five-year-old woman named Bell of Montpelier Road, Kentish Town, who had burnt to death while ‘sitting before the fire’. The doctor, called as a witness to the inquest into her death, stated ‘flannelette was dangerous for anyone to wear near a fire, as it was so inflammable’. Many coroners increasingly saw flannelette as a chief cause of fatal accidental burns of children in poor homes; irrespective of whether a fireguard was present. Flannelette, a cotton fabric with a raised surface, had been introduced to the English market in 1885 and soon became popular amongst the poor for children’s clothing; being both cheap and warm. However, one major disadvantage of this material was that its raised surface was easily ignitable and, when ignited, the fire quickly spread, soon enveloping a child in flames. Furthermore, as the Liverpool coroner, T.E. Sampson, remarked in 1909, ‘the stuff adheres to the flesh and cannot be so easily removed as ordinary cloth would be; the shock is greater and the burns are more extensive’. Some coroners even claimed that flannelette was so dangerous that even fireguards would be unable to prevent a fatality if the flannelette wearer was caught by a spark from the fire. The coroner for Manchester, E.A. Gibson, reported on a case of fatal flannelette burning, ‘where it was said the child was three yards from the fire and there was a fireguard’. ‘Commenting on the dangers of flannelette at an inquest at Poplar yesterday [4 November 1905], the Coroner (Mr Wynne Baxter) said he agreed that [flannelette] was the most dangerous stuff that ever was invented, but it was not a question for the L.C.C., but one for the Home Secretary, as it affected the country generally. The jury added the following rider to their verdict of accidental death: “We desire the Coroner to inform the Home Secretary that in view of the number of deaths from burning in connection with flannelette, the jury are of opinion that the sale of such dangerous material should be prohibited by legislation’. In 1908 (the same year fireguard legislation was passed), in response to the outcry of coroners, jurors, and the press, a Select Committee was formed to inquire into the ‘danger arising from the use of flannelette for articles of clothing’. Under this committee, coroners, flannelette manufacturers, traders and other persons including a hospital surgeon were interviewed, and the flammability of flannelette was extensively tested by chemists. Nearly all coroners interviewed stated that flannelette accounted for numerous fatal burns suffered by children around the country and supported some kind of legislation being introduced in regards to the flannelette question, such as state standardised testing to ensure the flannelette sold was relatively safe. One coroner stated that he would ‘be glad to see legislation prohibiting the clothing of children under 10 years of age in low grade flannelette’. What makes this call from coroners in regards to flannelette particularly interesting is that the responsibility for preventing burns accidents amongst poor children was not falling solely upon mothers, as was common at this time. Instead, manufacturers and traders of flannelette were increasingly held accountable. However, unlike the call to introduce legislation to ‘enforce’ mothers to use fireguards, the Government were uneasy to regulate industry in the name of public safety. Manufacturers and traders of flannelette argued that it unfairly targeted them, claiming other cloths such as calico and muslin were just as flammable but yet did not come under the same scrutiny. Furthermore, with the flannelette industry being a significant employer, any prohibition in its sale would result in the loss of jobs and grant of monopoly to the ‘small section of the trade’ producing ‘non-flammable’ flannelette. Additionally, prohibiting ‘lower class flannelettes’ would merely result in poorer people buying other cheap and just as inflammable materials, instead of the more expensive ‘non-flam’ flannelette; as one cloth retailer remarked, poor people simply buy cloth according to cost. Manufacturers and traders were also critical of the statistical evidence produced by coroners and those in the Registrar-General returns which show a relation between flannelette clothing and burns accidents, which they maintain is more of a correlation than a causation: ‘the only point is this’, stated A.M. Jones, flannelette manufacturer, ‘that children wear flannelette, not that flannelette was necessarily the cause of death’. One Times correspondent later suggested that flannelette actually saved ‘far more lives than its bitterest opponents have blamed it for losing’, as, he argued, it kept the child warm, thereby preventing an ‘enormous’ amount of deaths from bronchitis and similar diseases. ‘It is to be observed that, while it is proved beyond doubt that accidents by fire are common occurrences among persons who wear flannelette, the part in which flannelette takes in such accidents is by no means clear. In the nature of things it must often be difficult to decide whether, in the absence of flannelette, the accident would not have happened all the same or would not have ended fatally. The true cause of accidents is, in the great majority of cases, carelessness in regards to things which are positively dangerous such as […] open fires, the absence of fire-guards, and the dangerous practice of leaving children without any competent person to look after them. The wearing of flannelette is generally not so much a cause as a concomitant of the accident’. They were, therefore, ‘unable to recommend any legislation except for the case in which there is a positive misinterpretation of the character of the goods offered for sale’, such as those flannelette advertised as ‘non-flam’ which become flammable after only a few washes. ‘Flannelette Almost as Dangerous as Gunpowder’ – Manchester Times, 4 March 1898. ‘Inflammable Flannelette’ – The Sunday Times, 19 November 1911, p. 14. ‘Flannelette Industry’ – The Times, 22 April 1913, p. 22; Report of an inquiry into the question of the Danger arising from the Use of Flannelette for Articles of Clothing, 1910 (5376). Coroners’ Committee. Second report of the Departmental Committee appointed to inquire into the law relating to coroners and coroners’ inquests, and into the practice in coroners’ courts. Part II. Evidence., pp. 96-97, 1910 (5139) XXI.583. ‘The Dangers of Flannelette’ – The Sunday Times, 5 November 1905, p. 5. Coroners’ Committee… 1910 (5139) XXI.583. Coroners’ Committee… p. 158, 1910 (5139) XXI.583. Coroners’ Committee… p. 128, 1910 (5139) XXI.583. Report…Danger arising from the Use of Flannelette…, 1910 (5376). In 1900, 66-year-old William Sharman died as a result of a fall in an intoxicated state. The Ipswich Journal headlined: ‘A PENSIONER’S FATAL FALL’, stating that he was ‘a little worse for drink’ and was known to be ‘addicted to drink’. William’s case, however, was far from commonplace in Victorian Suffolk. Intoxication appears to have been an infrequent factor in the incidence of fatal falls in Suffolk’s working-class homes. This is unexpected, given the conclusions of Forbes’s work on nineteenth-century coroners’ inquests that intoxication was a leading cause of falls. In fact, in my own research of coroners’ inquests – where I examined nearly 100 inquests pertaining to accidental domestic falls – only in three cases did witnesses corroborate that the victim was intoxicated at the time of the fatal incident. [Mary Ann] being very drunk, was advised by her husband (who was also the worse for drink), to go to bed, but she refused, and went up and downstairs several times. After the husband had gone to bed, [she] again went upstairs, when she fell backwards into the passage […] death arose from extravasation of blood on the brain. Meanwhile, in 1881, Louisa Carter, wife of a Shipwright, died when she fell downstairs whilst ‘worse for drink’. The Ipswich Journal, rather than running the usual subheading of ‘A FATAL FALL’ or similar, went with the tagline ‘DRINKING HABITS’. As well as detailing the circumstances of the accident, the newspaper also noted how a neighbour, Mrs Long, had attempted to intervene in the drinking habits of the deceased: ‘I asked her why she did not become a better woman, and leave the drink alone, and the deceased said she regretted she had not taken that advice before, as she would have been better off’. Evidently, the fact that Louisa was drunk at the time of her fatal fall caused a commotion in the local press. This reaction is unsurprising, as the nineteenth century saw an increasing revulsion towards female drinking. The burgeoning Temperance Movement and teetotallers of the Victorian era, Brian Harrison states, ‘emphasized the need to rouse the dignity of women’. At a Temperance lecture held in Ipswich, in 1885, it was said: ‘it is disgraceful to see a man drunk, but it is even more disgraceful to see a woman drunk’. 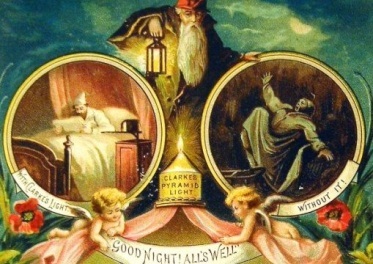 Nevertheless, despite these protestations, it is evident that the connection between drunkenness and the Victorian fatal fall needs to be reappraised. Ipswich Journal, 1 Sept 1900, p. 5. Forbes, ‘Coroners’ inquests in the county of Middlesex’, p. 380; Forbes, ‘Coroners’ inquisitions from the county of Cheshire’, p. 489. Ipswich Journal, 17 Sept 1859, p. 5. Brian Harrison, Drink and the Victorians: The Temperance Question in England, 1815-1872 (London, 1971), p. 368. Ipswich Journal, 12 Feb 1885, p. 2. 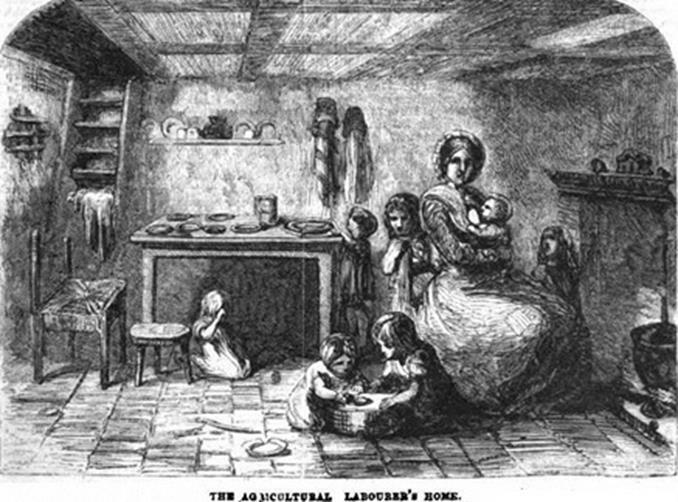 The staircase only became a common feature in the homes of the poor in the early-nineteenth century. As with most other internal areas of working-class domestic residences, there were at this time few relevant building regulations designed with the safety of the inhabitant in mind. In fact, it was not until the Public Health (Amendment) Act 1890 that local authorities were empowered (though not enforced) to make byelaws in regards to the ‘structure of floors, hearths, and staircases, and the height of rooms intended to be used for human habitation’. Staircases in working-class housing built prior to the new byelaws were treacherous, since ‘builders almost inevitably built down to the lowest standards permitted’. The design of nineteenth-century working-class staircases varied widely. In some urban homes in this period, the staircase was enclosed, and, as Stefan Muthesius describes, ‘tortuous, steep, with several turns’. In other urban homes in this period, where landings and hallways were uncommon a ‘narrow’ staircase often ran alongside the wall in the already cramped single lower or back room, egressing directly into one the bedrooms above. In 1893, The Ipswich Journal reported on a ‘FATAL FALL DOWNSTAIRS AT IPSWICH’. Sarah Tracey, an Ipswich widow, aged 70, residing with her daughter and family at 21 Turin Street, St. Mary Stoke, had been coming downstairs one May morning, when she fell. Her daughter, upon hearing the fall, ‘open[ed] the door of the staircase [and] saw her mother completely doubled up’. Despite the attention of Mr Staddon, an Ipswich surgeon, Sarah soon died from ‘shock to the system, resulting for the fall’. An inquest was held the following day, where the daughter, responding to a question from the jury’s foreman, stated that there ‘was no handrail to steady a person coming downstairs [and that] the deceased suffered from dizziness’. Mr Staddon also stated to the court that ‘he considered the stairs frightfully steep, and not fit for any person of the age of deceased to climb’. The jury remarked at the inquest’s close that ‘a handrail should be placed on the staircase’. Similar accidents occurred around the country during the Victorian period. In 1900, The Weekly Dispatch reported on a ‘DANGEROUS STAIRCASE’ in East Sussex. 30 year old builder’s labourer William Henry Jones died from injuries received through falling downstairs in his home at Bexhill-on-Sea. The inquest noted that ‘there was no handrail to the stairs, and the top stair was only six inches from the sitting room’, there being no hallway or landing. On the night of the accident, around midnight, William ‘said “Good night” to his mother, and told her he did not want a light. She immediately afterwards heard a crash, and she and [his] wife found [him] lying at the foot of the stairs with his skull fractured’. As the accident had occurred after the introduction of the building byelaws regarding stairs, the jury ‘requested the coroner to draw attention to the surveyor of the District Council to the necessity of a proper banister being provided’. Most typical staircase falls were concentrated in urbanised areas, as the upper floor of the rural labourers’ homes, even throughout the Victorian period, was often accessed via a staircase-ladder (as seen in the image below). Remarking on the homes of agricultural labourers’ in Suffolk, Wilson Fox notes that, ‘In Barrow a number of cottages have no staircase but a rickety ladder, up and down which a woman has somehow to drag her children’. However, these staircase-ladders appear not to have been as hazardous as one may assume. In rural Suffolk, where, the ‘staircase-ladder’ often featured, just one fatality was recorded in St. Etheldreda’s Victorian inquests. In 1858, at the inquest of a 65-year-old widow, Priscilla Harvey of Butley, witness James Malster, Constable, stated that, on neighbours becoming concerned, he broke down the door and found Priscilla ‘lying on her back between the ladder, used as a staircase, and the wall, her head resting on the wall at the end of the room and one foot suspended on the ladder, she was then quite dead. I have no reason whatever to suspect but that she accidentally fell down stairs which I believe was the cause of her death. The door was barred inside. I searched the house but found no one there’. Perhaps, being perceived as more perilous than the traditional staircase, people took more caution on ladders than they did on stairs or they simply avoided going upstairs unless it was absolutely necessary. Burnett, A Social History of Housing, p. 158.
 s.23 Public Health Act Amendment Act, 1890. Burnett, A Social History of Housing, p. 156. Muthesius, The English Terraced House, p. 67. Griffiths, ‘The housing of Ipswich’, p. 18; Muthesius, The English Terraced House, pp. 88, 10. Ipswich Journal, 20 May 1893, p. 2. SROi EC5/31/6 The Inquisition at the Parish of Framsden on the body of John Emery, aged 93 years, 1 Feb 1888. Ipswich Journal, 22 Feb 1890, p. 3. Weekly Dispatch, 17 Jun 1900, p. 6. The Model Building Byelaws, 1899 stated, ‘Staircases (required to have a minimum of 8 inches tread and a maximum of 9 inches rise) be provided with a handrail, the thickness of the strings to be 1¼ inches, thickness of tread 1 inches thickness, or ¾ inches’ (Ley, A History of Building Control, p. 174). PP Royal Commission on Labour. The agricultural labourer. Vol. I. England. Part III. Reports by Mr Arthur Wilson Fox, (assistant commissioner,) upon certain selected districts in the counties of Cumberland, Lancashire, Norfolk, Northumberland, and Suffolk, with summary report prefixed, 1893-94 (6894-III) XXXV.317, p. 36. SROi EC5/1/2 Inquisition at the parish of Butley on the body of Priscilla Harvey, 29th Apr 1850.